4 Are you wondering how to suppress food cravings? 5 How can you achieve appetite control? If you have ever tried to lose weight then you will be aware that it is not the easiest thing in the world to do. There are a million diets and weight loss remedies it seems but how many of them truly work? Many times, weight loss products will help you lose weight at first but once the water weight is gone so are the effects of the remedies. Beyond that, when you try dieting and exercising, many times you will find that you are hungry during the day and that you have food cravings. Everyone, especially those who are following a strict diet, can easily fall prey to food cravings. Who does not have them anyway? Food cravings and hunger pangs are common. However, they also tempt one to overeat. Successful weight loss just isn’t possible if you give up when the cravings kick in. Not even effective fat burners can give the desired result if you are eating with no control. There are, however, some easy tips for you to follow if you want to minimize food cravings and say not to overeating. Read on. Preferably a breakfast of champions! Breakfast is the most important meal of the day 1 so skipping it will do you no good. As much as possible, eat a balanced breakfast. Oatmeal, fruits and milk are great food items to include in your breakfast. People crave for food because they forgot to eat or they skipped a meal 2. Overeating is usually caused by extreme hunger so don’t let yourself go hungry. Remember, your blood sugar drops when you have not eaten in quite a long time so do not let 3 or 4 hours pass by without you eating a crumb! The secret to a good diet, really, is to know the right kinds of foods to eat and the right portions of food to partake 3. When you know that eating fried chicken skin is bad for you, then there’s really no reason for you to eat it, right? You can also try to include some of the fat burning foods into your daily diet. Or, when you know that an apple a day can help keep your skin glow, then go ahead and treat yourself to one! Just think of it this way – if you keep chocolates absolutely off your “can eat” list, then you will crave for chocolates all the more. What you can do is treat yourself to a small portion of chocolate as a treat for yourself. The trick is in the moderation. If you eat too much chocolate, then that’s bad. However, if you eat a little – just enough to keep you from craving and wanting it so bad – then that’s good. This is a common problem among dieters. They think that they’re hungry even when they’re not! So before you grab that piece of chicken, ask yourself if your body really needs it. Do not ask yourself if you want it because you yourself know the answer to that question! If you know that your stomach is still full, then there’s really no reason for you to eat. Sugar can be a bane in a person’s life. While it can make a person happy (especially one who has a sweet tooth! ), it can also pose health risks. This can be quite the catch-22 of many – while Mother Nature created sugar because she wanted humans to taste the “sweet” side of life and not eat poisonous stuff, Mother Nature’s product can also be the disease or worse, the death of many. Just think of diabetes and its effects and you know just how harmful sugar can be. So it’s no wonder that people also want to get rid of their sugar cravings. Truth be told, whether a person has a sweet tooth or not, people, more often than not, encounter sugar and most of the daily stuff we eat or drink have sugar in them. So yes, there’s all the more need to stop sugar cravings! But how, you may ask? 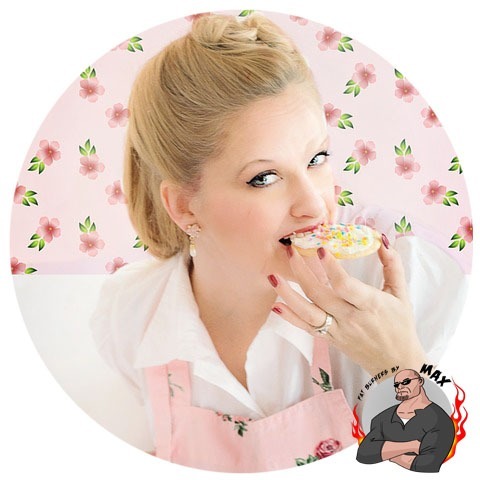 Let’s discuss the ways of how you can kick your sugar cravings away. First off, you must know that consuming too much sugar can lead you to feel irritable, angry, aggressive and nervous. Studies also show that people who take in a lot of sugar also feel low levels of energy and get tired easily and more often. So in order to kick your sugar cravings away, you must psyche yourself up and remember the many ill effects of too much sugar intake. Just think of tooth decay, diabetes, hypertension and heart disease 4. Yes, too much sugar can lead to oral problems — just a few grains of sugar and your teeth will easily be surrounded by bacteria. Can you imagine eating with bacteria still surrounding your teeth? And what about cancer? Too much sugar intake can aggravate the chances of getting prostate cancer (for men) and uterus, breast and ovarian cancers (for women). Moreover, too much sugar can cause the presence of high cholesterol in your blood system, can cause breathing difficulties, acid reflux, strokes, urinary infections and sleep apnea. And of course, too much sugar can cause the build up of excess fat. Do you really want to gain unwanted weight because of sugar? Secondly, you must look for good and healthier alternatives to sugar. What you can do is check out the local whole foods branch or an organic store. This is a great place to start looking for healthier alternatives to sugar. More likely than not, you will be given non-fat, low calorie (or even no calorie) sugar alternatives. Use these not only for your own food but for the food that you serve to your family and friends as well. They will eventually thank you for that! Generally, people attempt to lose weight by cutting the amount of calories they eat and exercising more. When trying this approach to dieting you may feel food cravings. Whether or not you are aware of it, there are such things as natural appetite suppressants and they can come in the form of teas and other herbs. Teas can be used as natural appetite suppressants while at the same time giving you the benefits of a natural diuretic. In other words, you will lose the water weight while also keeping your appetite suppressed. 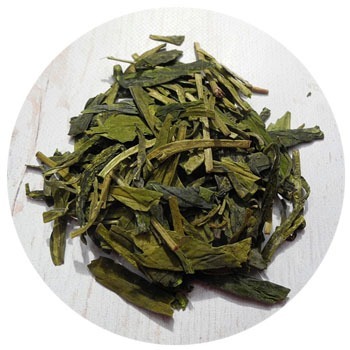 A good tea to use for this purpose is called Green tea and when you add glucomannan or hops extract to it you can enhance the affects of the appetite control and fat burning. Certain foods are also great for controlling appetite. Nuts and vegetables that are high in fiber can give you more of a feeling of fullness while providing the nutrition that you need. Almonds are a good example. You might also try steamed broccoli, African mango, apples, Garcinia Cambogia, carrot sticks and celery. All of these choices provide minerals and vitamins while staving off the appetite. When looking at herbs as a natural appetite suppressant, there are both herbal formulas and individual herbs that are helpful. Try aloe vera or chickweed when looking at individual ones. These two in particular also help to support your digestive track. Are you wondering how to suppress food cravings? When you are trying to shed those few pounds it can be difficult when you are also dealing with appetite cravings. If you take just a few minutes to learn about some of the appetite suppressants that are available you will also learn how to make your dieting more effective. By controlling your cravings with all natural appetite suppressants you will have less of a temptation to cheat on your diet. Cheating on diets leads to the diet ending prematurely most of the time with the weight loss goals not being met. How can you achieve appetite control? Achieving appetite control is never an easy thing to do, but for someone whose weight is causing medical issues, it is absolutely imperative. You can have appetite control in a few ways. There are the all-natural appetite control choices that we have been discussing and then there are pharmaceutical options as well as supplements that can come in the form of pre-packaged foods. Health benefits are some of the best advantages of natural appetite suppressants. When people use natural suppressants, they tend to feel less fatigued than they do with diet pills. They also do not get the jitters that some pills give dieters. More health benefits include lower cholesterol, improved immunity and more protection from heart disease. To really be sure that you’re on the right track on your quest to lose weight, why not aid your weight loss program with a reliable and effective weight loss supplement? PhenQ pills are tried and tested and thousands of dieters swear by its effectiveness. So just in case you fail in following my tips, you always have PhenQ diet pills to keep you on track! PhenQ can help you kick your food and sugar cravings goodbye. Not only will you lose weight with these diet pills but you will also have higher metabolism and higher levels of energy. So, no need to consume more sugar!